She is right...go shopping!!! :) Love your fabric choices and this quilt design, too! Yup. Sounds like there is some shopping in your future. :) this is going to be great. I love the color. Don't you find that this is such a productive time of year? I haven't been blogging because I've been so busy doing! It is looking good! Hmm...if you run out of fabric it may change the whole look of your pattern as the fabrics are so distinctive....I agree go shopping or wait and see and adjust the pattern size. Good luck Gene! 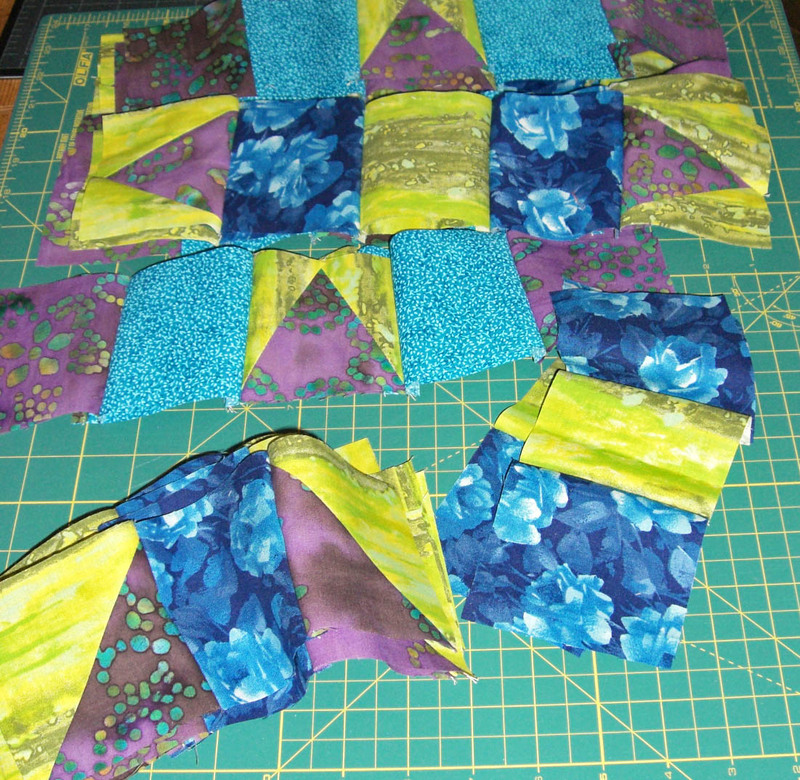 I agree about buying more fabric or if that isn't an option, adjust the number of blocks. Your EQ design in a previous post really allows us to see what's possible. Nothing is more frustrating than the fear of running out of fabric and then running out. Good luck! i vote for wild substitution!